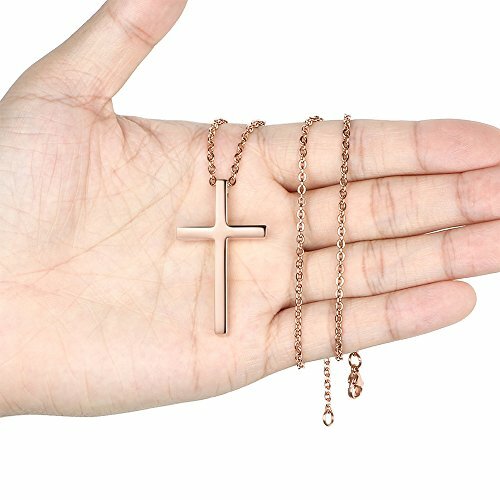 Material L Stainless Steel Health certification does not contain harmful elements Hypoallergenic Comfort Fit. 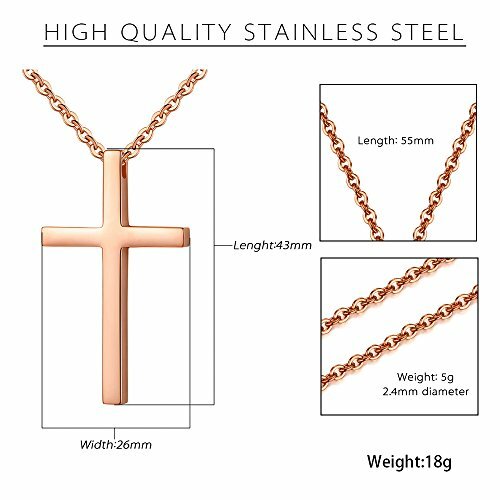 Pendant Length inch mm Width inch mm Link Chain Length inches Width mm. 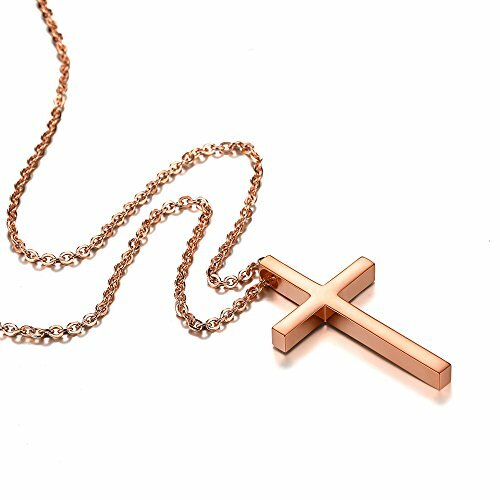 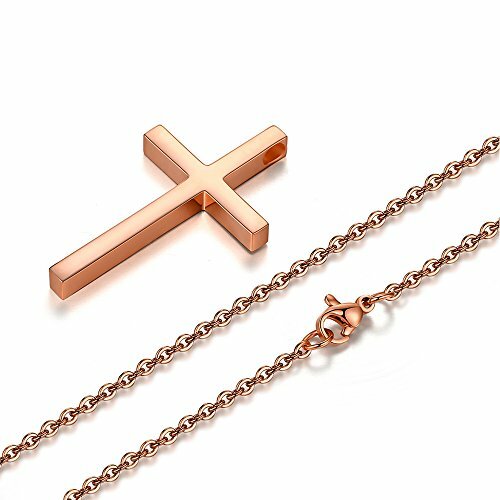 High polished shiny holy prayer rose gold cross pendant necklace mm thickness High quality. 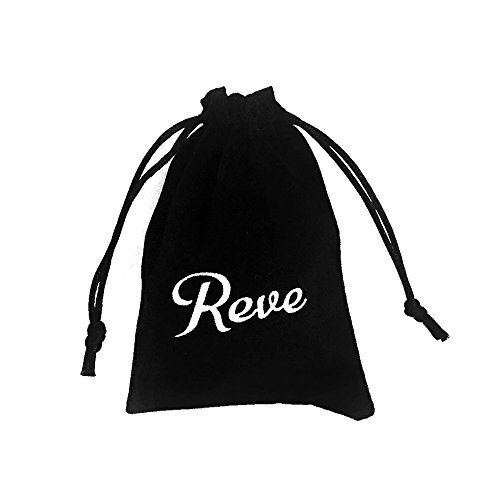 Including a black velvet bag printed with Brand Name Reve. 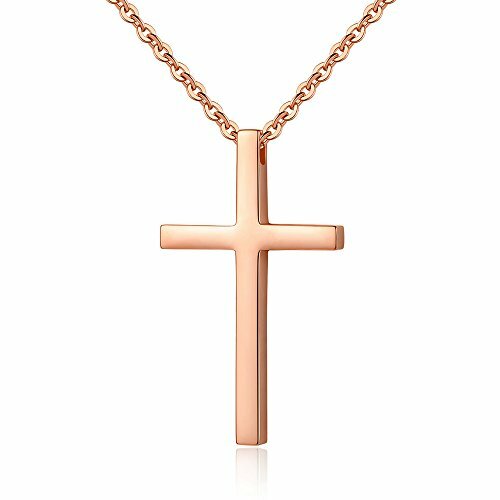 It is the perfect gift idea for many occasions such as Mother s Day Birthday Valentine s Day Christmas Thanksgiving Graduation Party Wedding Anniversary.